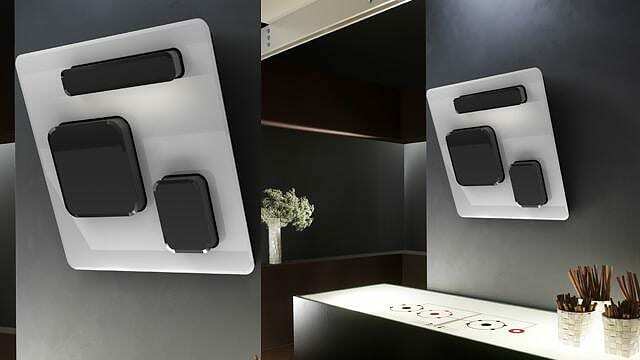 HomeBlogHome DecorElica Feel cooker hood by Fabrizio Crisà. 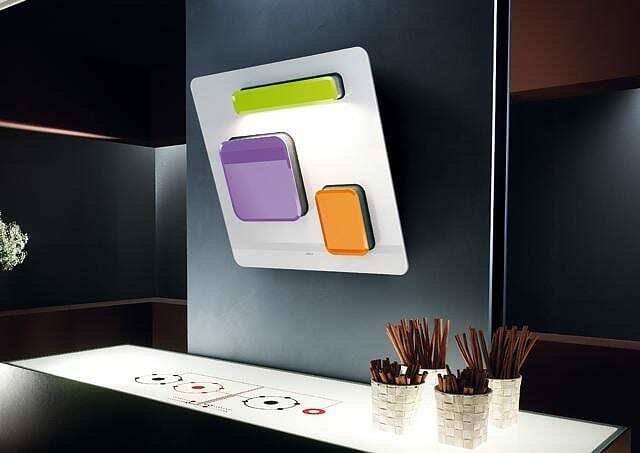 The Feel cooker hood was designed by Fabrizio Crisà and apart from its visual attractiveness the Design stimulates the user to process the object. The “e-motion” control interface simplifies all controls. Simply touch the electronically activated panels to operate them. The dimensions of the panel surfaces correspond to the suction power. For low steam cooking just touch the small colored panel and activate the low suction. For higher suction touch the large panel, and for maximum suction you can activate both panels simultaneously. Touching the horizontal panel switches the hob LED lighting on and off. Moreover the Elica Feel cooker hood has excellent technical characteristics. The lights used are LEDs with power consumption of just 12W, while the blower airflow ranges from 260 to 700 m3/h (cubic meters of air per hour) depending on the selected settings. Even more impressive is the fact that this remarkable suction is achieved by a small appliance only 80cm wide. The noise levels are also very sensible ranging from 43 to 65 dB(A). So both technical criteria for a good cooker hood are perfectly satisfied, high suction and low noise. Lastly, the Elica Feel offers great installation flexibility. There are two possibilities of installation, either in conjunction with a chimney, or with an activated carbon filter that filters and recycles the air in the room without the need of a chimney. Feel by Elica is a stylish, intuitive and stimulating home appliance that has refreshingly original design and brings an exciting interactivity.